Nanotechnology is revolutionising the world of materials. The research and development of nanofibres has gained much prominence in recent years due to the heightened awareness of its potential applications in the medical, engineering and defense fields. Among the most successful methods for producing nanofibres is the electrospinning process. Electrospinning introduces a new level of versatility and broader range of materials into the micro/nanofibre range. An old technology, electrospinning has been rediscovered, refined, and expanded into non-textile applications. 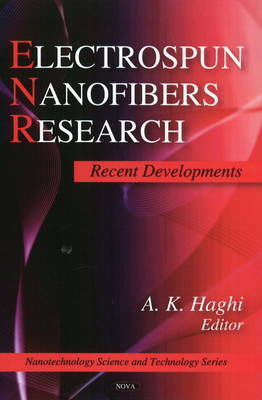 This book offers an overview of structure -- property relationships, synthesis and purification, and potential applications of electrospun nanofibres. The collection of topics aims to reflect the diversity of recent advances in electrospun nanofibers with a broad perspective which may be useful for scientists as well as for graduate students and engineers. The book presents leading-edge research from around the world in this dynamic field. 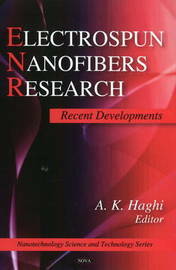 Diverse topics on electrospun Nanofibers published in this book are the original works of some world wide well-known scientists.